"The Villages home inspector, Ocala home inspector, Gainesville home inspector, Newberry home inspector, Home inspections The Villages, Home inspections, Mold inspections, The Villages Mold Inspector, Lady lake Mold Inspections, Leesburg Mold Inspections, Crystal River mold inspections, Inverness mold inspection, Orlando Mold Inspector, wind mitigation & 4 point "
Choosing the right Licensed and Certified Home, Commercial & Mold Assessor/Inspector can be difficult. Unlike most professionals, you probably will not get to meet me until after you hire me. Different Home, Commercial & Mold Assessors/Inspectors have varying qualifications, equipment, experience, reporting methods, and yes different pricing. One thing for sure is that a comprehensive visual Home Inspection requires work, a lot of work. Ultimately a thorough Home, Commercial & Mold Inspection depends heavily on the individual Inspector's qualifications and own effort. 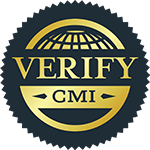 Our knowledge, experience, expertise, engineering background and construction (residential & commercial) set us apart from the average inspector. If you honor HOME INSPECTOR USA (HIUSA) by permitting us to visual inspect your prospective home or property, we guarantee that we will give you our very best effort. 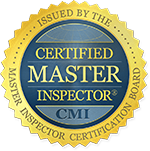 We at HOME INSPECTOR USA, we're committed to providing the highest level of professional service in the home inspection industry at competitive rates. HOME INSPECTOR USA programs conform to state, EPA, VA, HUD, InterNACHI and FHA standards. HOME INSPECTOR USA is the premier home inspection and mold inspection company in the area. We are renowned in our area for "ZERO" tolerance when performing an inspection. Our clients are number one and second to none. Completed over 29 projects (single, multi-family, commercial & federal government construction projects) Bay County, USA & overseas. 46 years staff combined engineering experience, and expertise in construction, operations, system implementation and management of commercial and federal government projects (small & large).